Take the hassle out of getting your motorcycle licence and pass first time with these tips. Learners by Chris Brown is licenced under CC BY-SA 2.0. Before you can don your leathers and hit the road, Easy Rider style, you’ll need to pass your motorbike test. There are a few hoops to jump through, but if you’re prepared, you’ll be a fully-fledged biker in no time. 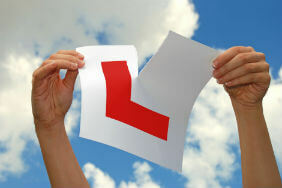 Before you can take any test, you need to apply for a provisional licence. This is the same licence as the one that lets you drive a car. If you already have that - or a full UK driving licence - you can skip this step. If you have a full driving licence, you may be entitled to ride a 50cc moped without any additional training. This’ll depend on when you passed your driving test. 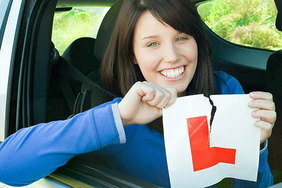 The provisional licence costs £34 if you apply online, or £43 by post. After your application, it should take 1-2 weeks for the licence to get to you. A hazard perception test that uses video clips. You can take practice motorbike theory tests to brush up on your knowledge. 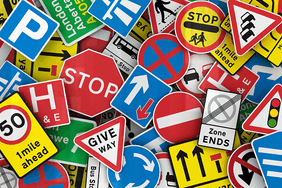 How much does the motorbike theory test cost? The bike theory test costs £23 and should take around an hour to complete. You’ll need 43/50 on the multiple-choice round and 44/75 on the hazard perception round in order to pass. You’ll know if you passed or not straight after the test. 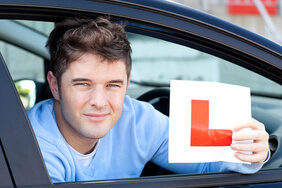 When you pass, your theory test certificate is valid for two years. Every would-be biker needs to take basic training before they can take lessons on the road. The CBT involves a day’s ride where you learn the basics of using the bike. It’s not a test – it’s a training day. A CBT tends to cost around £130, but the price can vary between instructors. Use GOV.UK to find your nearest training body. It’s difficult to “fail” a CBT, as you’re not being tested. However, if the instructor feels that your riding is dangerous, they could refuse to give you a CBT certificate. 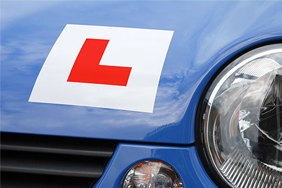 As with the theory test, your CBT certificate is valid for two years. Intensive courses can cost anything from £400 to £900, depending on your level of experience. Regardless of how you decide to learn, the point is to be safe and confident on the road. Only when you think you’re suitably prepared should you take your practical test. Aside from the independent riding, you’ll be instructed through an earpiece for the duration of the test. As of 1 Jan 2019, only certain motorbikes are allowed to take the practical test. You can view the full list on GOV.UK. How much does the practical motorbike test cost? Module one costs £15.50 and module two costs £75 (£88.50 on weekends). Both modules together should take little over an hour, and you need to pass both to be given a full licence. The time has come at last to get your motorbike licence become a true biker. Things are a little more complicated for bikes than they are for cars, however. The kind of motorbike licence you get depends on a few things, and changes the kind of bike you ride. Once you have your motorcycle licence, you can officially rip off those L-plates and hit the road! Take a look at our favourite biking routes for inspiration.